Love it or hate it, mobile gaming is on the rise. And as the specific demands of that audience grow in scale, plenty of smartphone manufacturers are keen to position themselves as the go-to gaming phone. At the moment, there are four high-end phones to consider if you’re heavy into gaming on the go, and one big reason to maybe hold off on buying a gaming phone for now. A follow up to last year’s Razer Phone, the Razer Phone 2 runs on a Snapdragon 845 processor with vapor chamber cooling, Android 8.1 Oreo and 8GB of RAM. Like the original, the new Razer Phone features a hefty 4000mAh battery, USB Type-C charging but no headphone jack. As for storage, the new Razer Phone 2 comes with 64GB of on-board storage and supports expansion via Micro SD. 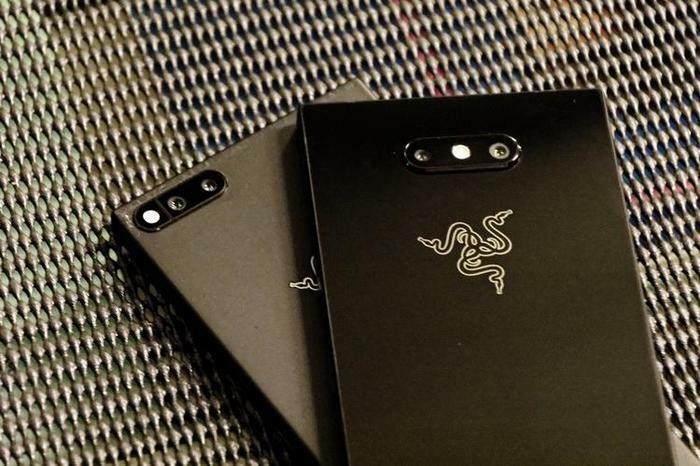 In terms of the display, the proportions and quality of the Razer Phone 2’s screen are largely comparable to the prior model. It’s still 5.7-inches in size, relies on an LCD panel and boasts the same higher, crisper 120Hz refresh-rate found in the original phone. That said, the screen on the Razer Phone 2 is a little bit brighter and it does come flanked by a reworked pair of front-firing Dolby Atmos speakers. There’s also a degree of RGB lighting here, via a backlit logo on the rear-side of the device, which can be controlled and customized using the Razer Chroma app. You can read our full review of the Razer Phone 2 here. Available alongside the regular Mate 20, high-end Mate 20 Pro and ultra-premium Mate 20 Porsche, Huawei’s Mate 20 X features a 7.2-inch OLED display, a 5000mAh battery, Kirin 980 CPU, 6GB of RAM and 128GB of on-board storage. Aside from the larger size, the unique feature worth noting here is Huawei’s new SuperCool technology. The Chinese company claim that the Mate 20 X features the world's first vapor chamber that uses graphene film cooling to enable better thermal management when under heavy load. In Europe, the device will retail for €899. However, at the time of writing, there’s still no word on whether the device will officially come to Australia yet or how much it might cost if it does. Announced at this year’s Computex, the ROG Phone is an Android-powered smartphone with uber high-end specs and several gaming-specific features that promise to make it a must-have for mobile gamers. In both form and function, the ROG Phone is aimed at quelling the real-world pain-points of any mobile gamers.The device features a FHD+ HDR AMOLED display with a 90Hz refresh rate and 1ms response time. It also boasts 8GB of RAM, up to 512GB of on-board storage, a 4000mAh battery and runs on a “speed-binned” version of Qualcomm’s Snapdragon 845 processor that runs a clock speed of 2.9Ghz. Of course, to get the most out of these specs, you’ll want to use the ROG Phone with the AeroActive Cooling Case it comes bundled with. There’s a second USB Type-C port and headphone jack on the side the AeroActive, allowing you to easily charge it while using it in landscape mode. 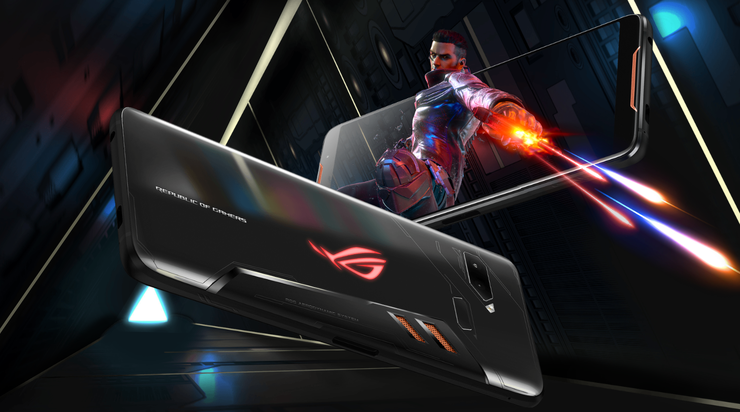 The ROG Phone also features a set of ‘air trigger’ ultrasonic sensors that ASUS say allow the shoulders of the device to act as extra buttons. What’s more, these are programmable - which means you’ll be able to (theoretically) use it with any game that supports remapping the controls. Though it’s not nearly as specifically positioned as the other phones on this list, Samsung did devote a fair bit of its Unpacked 2018 press conference to positioning the Galaxy Note 9 as the powerhouse gaming device for mobile gaming fans. And to their credit, the Note 9 has the specs to back up that assertion. The Australian version of the Note 9 will run on Samsung’s own Exynos 9810 processor and touts the usual 6.4-inch Infinity display, 6GB of RAM and 128GB of internal storage (in addition to a MicroSD slot) plus a sizable 4000mAh battery (also the largest in a Note device ever). You can read our review of the Samsung Galaxy Note 9 here. If you’re the rare kind of smartphone buyer who really cares about specs but doesn’t really care about the camera and you can’t find what you’re looking for in the other brands out there, by all means, go ahead and buy a gaming smartphone. You’ll probably be happy enough with it to get by. However, realistically, at this stage, the differences between what you’ll get out of a gaming smartphone and a regular flagship are few and not all that meaningful. Yes, a gaming phone might be better suited for gaming than a mid-range option might - but there’s still one big reason to hold off on buying one just yet even if you are pretty deep into mobile gaming. You probably don’t need it. Most mobile developers want as many people as possible to download and play their games. They can’t afford to take the risk that comes with releasing something that only a small percentage of audiences can play. It just isn’t commercially viable. Yes, you’re seeing bigger Western developers like Bethesda and Blizzard embrace mobile gaming and try to push the hardware to its limits. However, for the most part, developers want people to play their games - and that means catering to more than just those who have high-end flagship devices. The other reason to avoid buying a gaming phone just yet is that there’s just not enough differentiation in the hardware to justify the added expense. As you can see from the list above, most gaming phones are running the same Snapdragon 800-series processors and 6-8GB of RAM. When that changes, and there’s software that you actually need to invest in hardware to actually experience, then the case for a gaming phone will become a lot stronger. For now though, it’s a niche that’s more marketing than reality.